Attacks by dogs and other animals cause serious injury and sometimes death. The American Veterinary Medical Association estimates that close to 5 million people will be bitten by dogs this year across the country — most of them children and elderly adults. With more than 50 years of combined experience in the San Diego area, Gilleon Law Firm offers seasoned personal injury representation. With a reputation for excellence in legal and client service, our injury attorneys are prepared to protect your rights and pursue compensation for losses that you or a family member suffer after an animal or dog bite. Many dog owners and others fail to understand the danger of dog bites. The County of San Diego protects the public from dogs that bite or are inherently dangerous. As dog bite attorneys in San Diego, we help you — and owners of dogs that bite — realize the consequences when a dog causes harm. A 2011 report by the San Diego Union-Tribune found that the number of dog bites reported to animal control officers increased in the four previous years. In a longer study, between 1993 and 2008, the federal Agency for Healthcare Research and Quality found that hospital admissions for serious injuries due to dog bites rose 16 percent, across the United States. Almost half of people treated for dog bites suffer skin damage and tissue infection. Injuries include wounds to arms, legs, torso, head, and neck and face — with related damage including blood poisoning and bone fracture. Serious lacerations can require skin grafts. 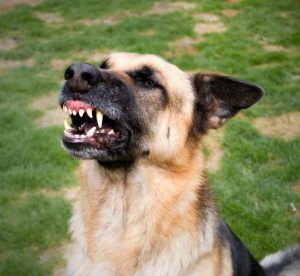 Owners of dogs that bite can be administratively cited by the County of San Diego Animal Services. Repetitive citations, or failure to respond, can result in a designation of dangerous premises. With few exceptions, dog owners are responsible for damages or injury caused by their animal on public and private property. Compensation available to those injured through the negligence of a dog owner includes monies for present and future medical expenses to cover the scarring and emotional trauma that result from an attack. Dog ownership is a serious responsibility. If you or a loved one is attacked or mauled by a dog, we provide the knowledgeable, strong legal support that it takes to obtain compensation for you. Located in Downtown San Diego, and serving clients throughout San Diego, Orange and Los Angeles counties, Gilleon Law Firm has onsite parking. We are convenient to Highways I-5 and I-8, and are just two blocks from the Santa Fe train station. Call 619.702.8623, or contact us online today to set up a free consultation — or to schedule an after-hours appointment, if needed.